ah! positive publishing creates and produces these tools for positive living. Interested? Contact me to learn more! Currently I am not taking online orders, but I'm definitely interested in hearing from folks who think these products are neat. My dream now? To have these products published and distributed nationally through a publishing company focused on new thought. I have lots more ideas for amazing and fun positive thinking products as well. Let's makes dreams come true! Make affirmations from scratch! Many people are attracted to the idea of using positive affirmations for personal growth, but don’t know where to start. How do you create your own personalized affirmations? How do affirmations really work? How do I get results from them? The Affirmation Creation Kit takes the mystery out of working with positive affirmations. This interactive 36-card kit makes it easy & fun to create unique, personal affirmations & put them to work. 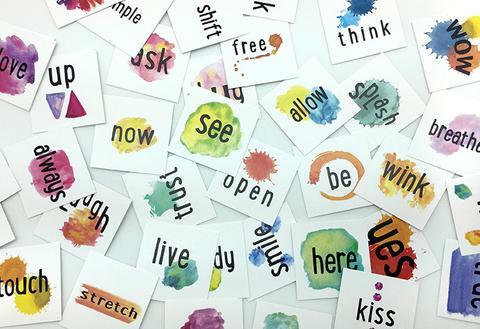 The kit works by pairing Power cards (featuring verbs that harness the powers of creativity, being, receptivity, & willingness) with Truth cards (overflowing with positive attributes & qualities). The enclosed 40-page booklet gives an in-depth explanation of how affirmations work & how to use them effectively. 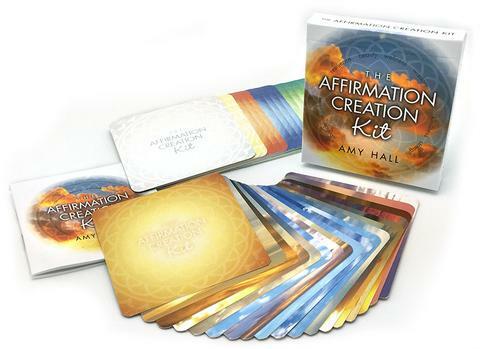 Portable, flexible, and easy to use, The Affirmation Creation Kit is your personal workshop for getting the most out of the powerful, customized affirmations that you will create. Whether you are just getting started with affirmations, or have been benefiting from them for years, The Affirmation Creation Kit provides an invaluable toolkit for transformation. 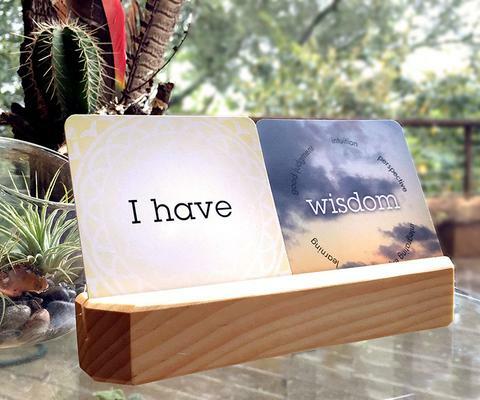 Use the Affirmation Card Stand to display your affirmations at home, at work, everywhere! An attitude of gratitude is the key to feeling everyday joy. 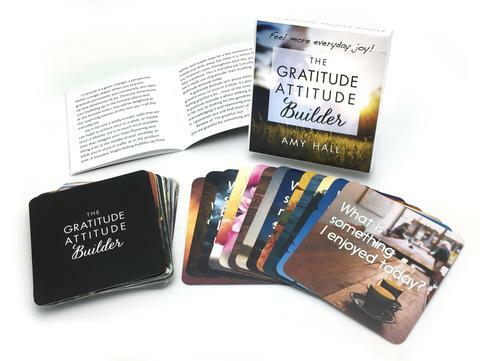 Build your gratitude attitude with ease using The Gratitude Attitude Builder! The 44 cards combine thought-provoking questions with lush imagery of everyday beauty & will inspire you to look at your world in a new way. The enclosed booklet gives a deep wisdom perspective on the power of gratitude & offers guidance to start building your gratitude attitude today. Makes a great gift to show your gratitude for a special person! 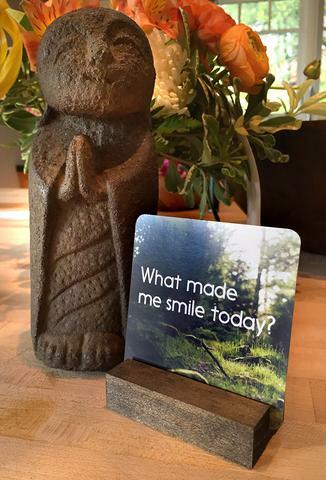 Use the Gratitude Card Stand to display your gratitude cards at home, at work, everywhere! Roll with your heart! 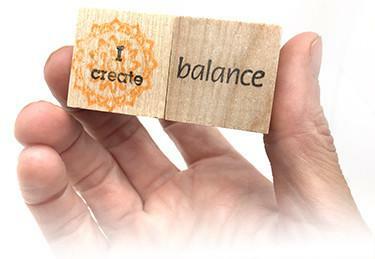 Pocket Affirmations are wooden cubes you roll like dice to create customized positive affirmations. Roll all three cubes together, or roll one or two at a time...literally hundreds of affirmations are possible! Each 1" solid wood cube is made by hand with lots and lots of love, and covered with positive ideas for your life. 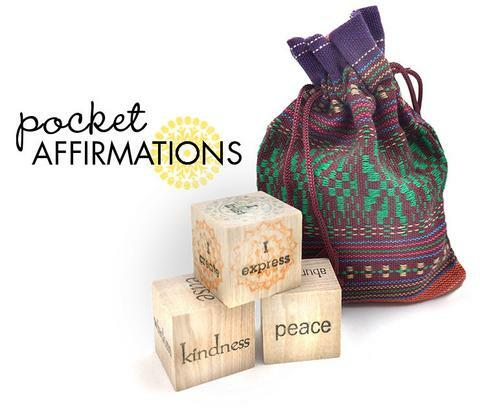 Your Pocket Affirmations come inside a drawstring cloth bag, perfectly sized to be handy whenever you want a dose of positive thought. Also enclosed is a small informative booklet to get you started. How can something so teeny tiny offer so much happy? The answer is simple…the real source of happy is not teeny tiny, it’s as big & beautiful as the universe : happy comes from your very own heart & soul! All these teeny tiny happy cards do is to remind you…to lighten your heart, to play, to be gentle with yourself & others, to drop expectations & to look for the highest & best good in every situation. 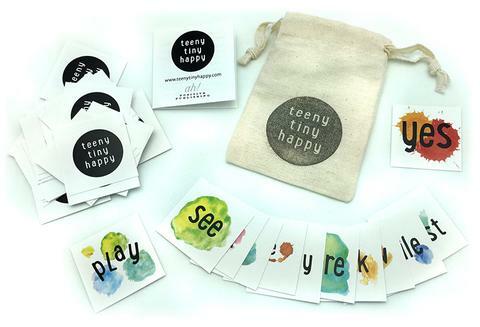 Teeny Tiny Happy consists of 44 teeny tiny cards (1.5" square!) and a teeny tiny booklet, all tucked into a teeny tiny cotton drawstring pouch (just 3" x 4"). Small enough and cute enough to tuck into any purse or pocket, have a set at home and a set for on the road! Always have an extra set ready, to give to a friend who needs a dose of fresh-baked happy; Teeny Tiny Happy is sized and priced right to be able to keep a few on hand!